House Suddenly Feel Too Small? Here's What To Do About It! There are lots of reasons why a comfortable house can suddenly seem to small. Maybe you've had a baby, adopted a dog, or a family member has moved in with you so you can care for them. Even someone dying can impact how the space feels, as you're suddenly in possession of all of their belongings. Whatever the case, you now have to find a way of making your home feel comfortable again. Here are some options you could consider. If you don’t want to move, you could always extend your property by building a conservatory, converting a loft or going full out and constructing a whole new set of rooms. An extension could be cheaper and is certain to raise the value of your property, making you a return if you sell later. However, planning permission will have to be obtained first, plus you will need to inform your home insurance company, who may raise your premiums as a result. Shop around to find the cheapest method of extending. You may simply be able to free up a room by having a massive decluttering and rearrangement session. You may be able to free up your spare bedroom/office and turn it into a child’s bedroom. Try embracing the minimalist approach of Mari Kondo, and get rid of things you don’t need. Go digital with your books and CDs, buy multipurpose furniture and try wardrobe methods such as the Oprah Winfrey coat hanger experiment. Decluttering can be cathartic as well as earning you a lot of money from selling items you don’t need. Have a car boot sale or take some items down to an auction. Those you can’t flog can be donated or recycled. A popular way of handling a deceased relative’s belongings is to put them in storage and then work out what to do next from then. 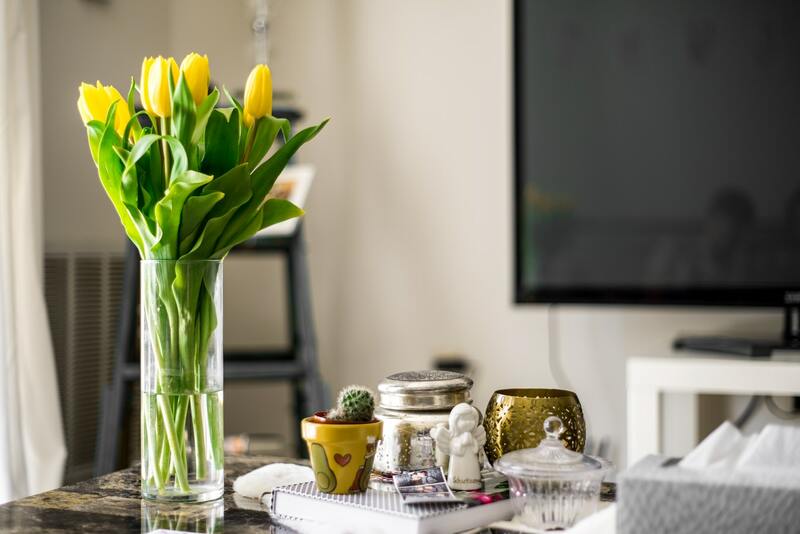 Whilst decluttering to free up a room for a new family member, guest or tenant, you may also find it more convenient to put those items in storage if you can’t bear to part with them. Some people convert their loft and then move the contents of the loft to storage. However you choose to handle it, make sure that you budget for the cost of storage and the length of time in which you choose to use it. It can be cost-effective for temporary solutions – but not-so-cost-effective as a permanent solution.